Our reputation for stellar customer service and top-of-the-line water purification technology precedes us and sets the industry standard. 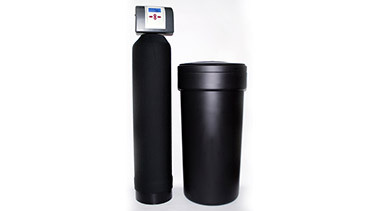 Regardless of your application, you can depend on Hills & Valley Water Systems Inc. for all your water filtration needs! 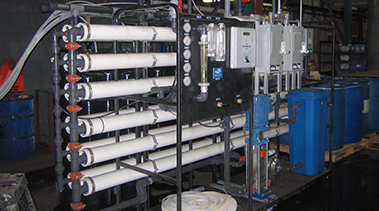 Our water purification equipment is custom engineered and crafted for a large number of specific residential, commercial and industrial applications. Our water treatment products are renowned for their durability and efficiency, and our organization is well known for our outstanding customer service and competitive pricing. At Hills & Valley Water Systems Inc., we go to great lengths to continually educate ourselves on the most current water filtration industry practices, and to ensure that our work complies with the latest standards. Our friendly water treatment technicians are licensed by both the Ministry of Environment (MOE), and the Walkerton Clean Water Centre, for the installation, operation and maintenance of industrial, commercial and residential water purification equipment, including reverse osmosis systems, water softeners and various types of water filtration technologies. Servicing the greater Ottawa area, Hills & Valley Water Systems Inc. is adept at treating and solving both municipal and rural well water issues. Our awareness of the important elements required for achieving the topmost water quality, as well as our proficiency with water treatment pump installation and sizing, notably enhances our clients water conditions. Our skilled water filtration technicians provide only the highest grade water to our clients homes and businesses. In our inventory, we keep on hand a variety of reverse osmosis systems, water softeners and water filtration technologies for an array of unique applications, offering them to homeowners, home builders, and commercial or industrial business managers or owners in and around Ottawa, Ontario. Hills & Valley Water System Incs. licensed water treatment professionals possess more than 21 years of experience in the water purification industry, and are exceptionally proficient at conceptualizing and installing water filtration solutions of all types. Should hard water, or water contaminants such iron, sulphur, carbon or chlorine, be problematic for you, then turn to Hills & Valley Water Systems Inc. for all your water treatment needs. We offer an array of personalized water filtration solutions, water softeners and reverse osmosis systems that will effectively resolve your commercial, residential or industrial water issues. Should your water supply originate from a well, then our courteous water treatment technicians can even convert your existing jet pump to a submersible pump. There is absolutely no water issue in or around Ottawa that we cannot solve! 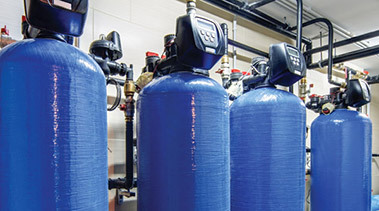 Hills & Valley Water Systems Inc. connects the gap between pump and pressure systems, and superior quality, modern and long-lasting water treatment products, services and methods. You can rest assured that our combination of expertise, current industry knowledge and advanced technology in the areas of reverse osmosis systems, water softeners and water filtration systems will result in supplying you the highest quality water for your residential, industrial or commercial use in Ottawa, Ontario and surrounding areas! ยิงปลามหาสนุกSchedule A Free On-site Visit! Hills & Valley Water Systems Inc. is a leading supplier of reverse osmosis systems for residential, industrial and commercial use. Hills & Valley Water Systems Inc. is a leading supplier of superior quality water softeners for residential, industrial and commercial use. Our water filtration technology provides homebuilders, homeowners, and industrial or commercial business operators with the cleanest water. As residential, commercial and industrial water treatment experts, Hills & Valley Water Systems Inc. supplies reverse osmosis systems, water softeners, and various types of water filtration systems to clients in and around ยิงปลามหาสนุกOttawa, ยิงปลามหาสนุกCornwall, Smiths Falls, Arnprior, Brockville, ยิงปลามหาสนุกKemptville and surrounding cities.